Home / asad motawh / bnk48 / bunkface / chung ha / elizabeth tan / kpop / lin min chen / music / news / ploychompoo / priscilla abby / songkran / uchat / Elizabeth Tan, Bunkface, Chung Ha and more for UChat Songkran Day-Out! 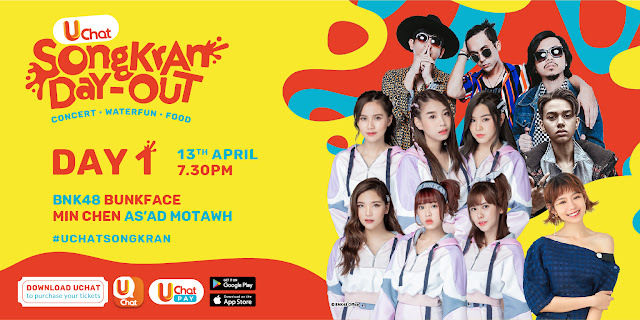 You don’t have to fly all the way to Thailand for some Songkran fun this year, you can join in the fun at Malaysia’s UChat Songkran Day-Out instead! Unless you’ve been living under a rock, there’s no way you don’t recognise any of these performers! Malaysian singer-actress Elizabeth Tan most recently released a new single “Hidup Semula” (she also stars in “Misteri Dilaila”, Malaysia’s first movie with two endings), South Korean singer Chung Ha was formerly part of the now disbanded girl group I.O.I, while BNK48 is a Thai sister group of Japan's AKB48. The German-Thai Ploychompoo also has a single this year, called “Too Late”, and a movie, “Pee Nak”, whereas Malaysia’s Instagram darling Lin Min Chen most recently appeared in “A Journey of Happiness”. 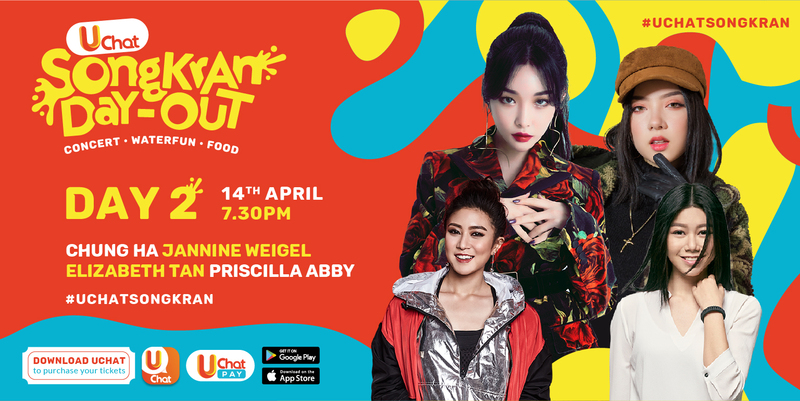 Three other Malaysian acts, namely Youtuber turned professional singer Priscilla Abby, young heart-throb singer songwriter As’ad Motawh and rock band Bunkface, round up the list of performers. Tickets can be purchased via the UChat app, the first Malaysian app that combines both messaging and e-wallet. The concert isn’t the only highlight of the festival. Check out “Challenge The InstaCelebs”, in which participants who have accomplished the task of forming teams of five may be chosen to a duel with Instagram influencers such as Gladish, Findy, Mika, Wan Li, Yii Yii, Yang BaoBei, Charles Tee and more.